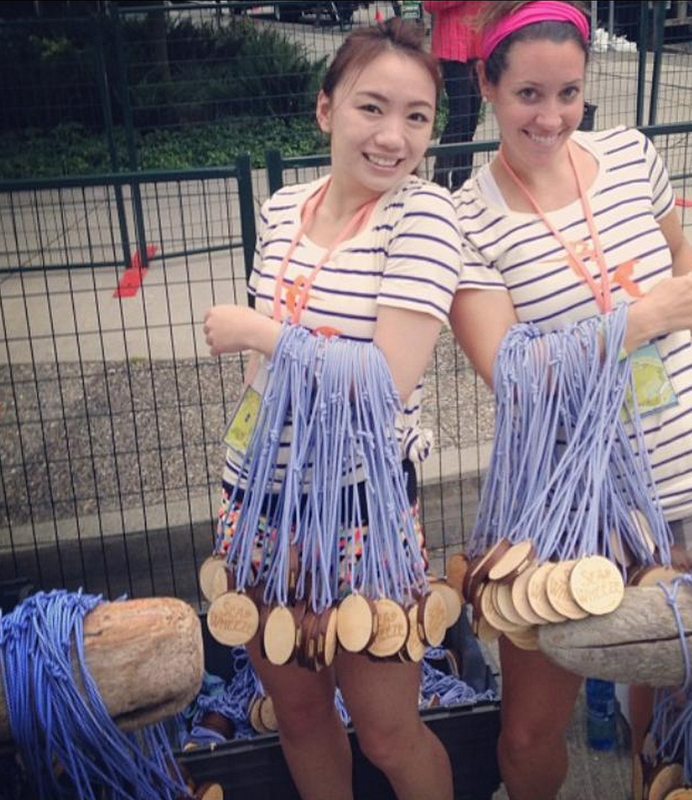 This years finisher medals from SeaWheeze 2013 are carved wooden disks, sort of like round tree trunks. I really like that they are different from last years medal as well as from every other race medal. Looks like they are on shoe laces just like last year. 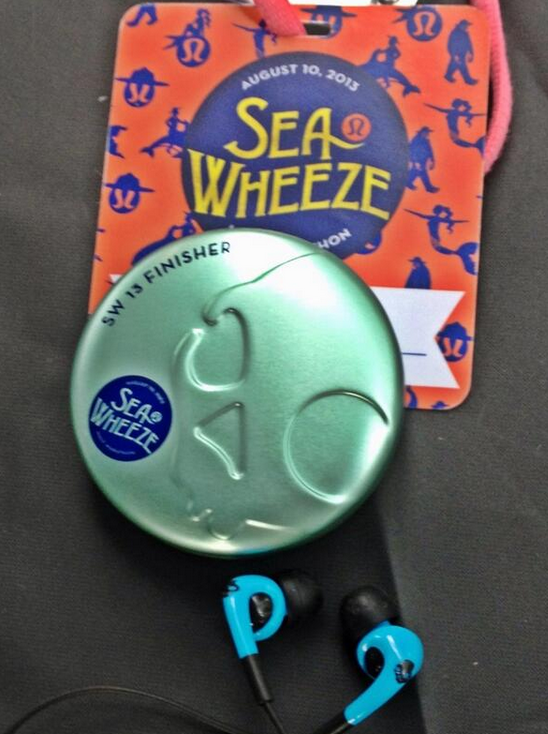 Finishers are also getting Skull Candy ear buds. "The SeaWheeze 2013 Finisher Medal"